Yes, you can be in real labor and not even know it! I remember being pregnant with my first baby, my daughter, and thinking about what “real labor” would feel like. I Googled everything I could possibly think of until all the search results were all purple. How does real labor feel like? How to know if I’m in real labor? Real labor symptoms. I had out-googled Google. Then one night, I started experiencing painful contractions. I just knew it was the real deal. I couldn’t talk through my contractions, there was no mistaking that I was in labor. According to Google and many doctors, one of the signs that you’re in real labor is not being able to talk through contractions. Although this held true for my first pregnancy, it most certainly was not with my 2nd. The entire afternoon prior to my son’s birth, I experienced what I thought were Braxton Hicks contractions gone cray. I felt a rhythmic tightening in my abdomen every couple of minutes, all damn day long, but I wasn’t in any kind of pain. I honestly thought my uterus was just irritable from all the walking I’d been doing that day, so I ignored it. As the day progressed and dawn turned into dusk, the tightening continued but increased in intensity and frequency. After much insisting from my mother, I decided to call my midwife who advised me to go straight to L&D where she’d meet me. So I waddled in with my husband, already mentally prepared to be sent back home because duh I was not in labor. Several minutes after checking in, my midwife began assessing me and after a bit of digging around…her jaw dropped. “You’re 9cm dilated,” she said. I only started to feel actual labor pains when my waters were broken. My son was born not long after that. I was most definitely in “real labor” but I felt zero pain. Had I ignored my mother’s pleas for me to go to the hospital, I would’ve given birth at home. Most moms receive some type of “How to Know You’re in Labor” checklist from their care providers at some point during their pregnancies. I received several of these checklists and the one thing they all have in common is this one deceiving “real labor” symptom: If you’re in real labor, you should not be able to talk during your contractions. Though not being able to talk through contractions may be a sign that you’re in labor, it’s not an exact science. After this experience, I did some research and found that many other women had experiences similar to mine. Perhaps it isn’t the norm but it most certainly is possible to have painless labor. My prayer (please Lord Jesus!) for my future pregnancies is to have the same type of labor lol because honestly, it was amaaazing. I had already gone through labor with the “regular” pains with my daughter and yeah, those pains were no joke. Speaking of labor, are YOU ready for the big day? Girl, I know you’re hospital bags are packed but is your body prepared for labor? 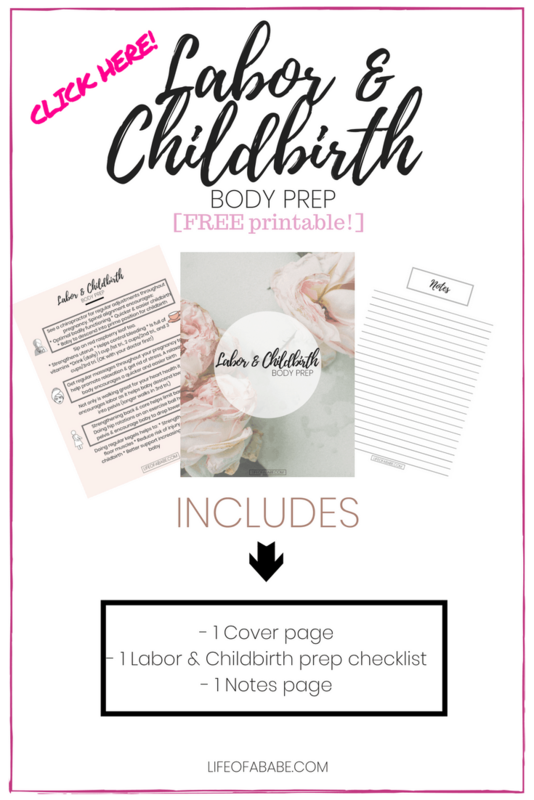 Check out my post on How to Prepare your Body for a Quick and Easy Childbirth! Just as with “regular” labor, the contractions will be rhythmic and you’ll be able to time them. If you are able to time the contractions and notice a pattern, chances are you are in real labor. My contractions began earlier that morning and grew in intensity and frequency as the day progressed. They just weren’t painful. I went from literally being able to walk through them, to having to stop walking every couple of steps. If you have to stop doing what you’re doing during the contraction, you may be in real labor. As the contractions get stronger and more frequent, they’ll become even more uncomfortable. I remember mine being so intense that each time a wave of contractions came I felt like I was going to pee myself. That’s how hard my uterus was contracting (thank you Red Raspberry Leaf Tea!). If this is the case for you then there’s a possibility that you’re in real labor. If you feel any of the symptoms I mentioned above and are unsure as to whether or not you’re in labor, call your doctor. Many of us moms worry about being a nuisance and being sent home but this isn’t that for all of that, ok? If you have even the tiniest inkling that something could be going on, call your healthcare provider! The last thing you want is to have an unplanned homebirth. Feel free to drop me a line at heymallaury@lifeofababe.com or via Instagram. Fill out the form below to join my EXCLUSIVE email list. By signing up, you’ll receive helpful tips, blog updates, and get notified every time a new blog post goes up. Subscribe now so you don’t miss out! Have you ever experienced painless labor? 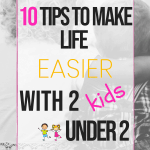 So just a quick question for second-time moms. I had a fairly quick labor with my first. All during pregnancy my female coworkers were telling horror stories of 36+ hour labors, having to be induced, etc. So I was going into this thinking I would have a 2 or 3 day labor. My water didn’t break, but I lost my mucus plug around 1 PM that day and then I think active labor started around 4 PM. I delivered the next morning at 4 AM. So active/transition labor was probably 12 hours. I had taken classes on natural birth but I really wasn’t prepared…so I got an epidural. I don’t want to do that with baby #2. I’ve heard second/third/fourth etc. births go a LOT quicker. Is this true? If so, is anyone willing to tell me the time difference in labors so I have an idea of how fast they are? With my first, the hospital was right down the street, but we switched insurances, so the closest hospital is a 30-40 minute drive, which is kind of stressing me out!! Thanks in advance! Hey Heather! Thanks for sharing your experience. To be honest, 2nd labor are USUALLY faster and easier because your body already went through it once. But it doesn’t always happen that way. My 2nd labor was much faster and waaayy easier. I think my 2nd labor lasted about half the time compared to the first. But I know of some women who have a harder time the 2nd, 3rd, etc…around. It all depends and although it’s not something you can predict, you can prepare your body for a quicker and easier labor. I have a post written about the steps I took to for a smoother delivery. 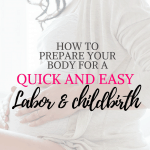 Check it out, let me know what you think: https://lifeofababe.com/how-to-prepare-your-body-for-an-easy-labor. Hope to hear back from you, all the best! First of all, love this blog! And second… 5 years ago when I went into labor with my first (a daughter), I was 41 weeks pregnant and woke up at 4am to just a cramp like pain. I stayed home for a few hours before going to hospital- I was definitely in labor but the pain wasn’t bad at all. So for any mommy’s out there preparing for the 1st one, it MAY not be as painful as you read it is!! I’m 36 weeks pregnant right now with my second, so I’m curious how this labor will play out!! Never knew about painless’ contractions, so glad I found this post!! Aw thanks so much Morgan! Great piece of comforting advice: it isn’t always as “bad” as people make it sound. And you never know how it really is until you really try! I pray you have a safe and quick delivery and recovery. You did it once so I know you can do it again. Congrats on your new baby, you’re almost there! So glad I came across this article recently AND it popped up in my Pinterest feed again today so I didn’t have to go looking for it 🙂 38.5 weeks, 4cm dilated, 80% effaced. Baby #2. The Dr. said he wouldn’t be surprised if I was in labor. We’re both thinking today or tomorrow will be the day! Having painless contractions all day but also that feeling of pressure that makes me have to stop when walking. Everything you described here. Thank you for this article! At least your midwife told you to go to the hospital! Mine kept saying since I was still talking I was fine! Then finally she came out which took way to long! She realized I was actually 8cm (we live far from a hospital) so we rushed over! Was not impressed since this was my first I didn’t know what to expect. Ugh I wish they would stop telling women this!!! I’m sure it would be ok if you planned to have the baby at home but what if you’re not? LOL. At least you made it to the hospital on time and now you know not to gauge whether or not you are in real labor by that 1 symptom! Thanks so much for sharing your story and for reading mine! I wasn’t told about the not able to talk through labor, though I heard that was a sign of strong active labor. My provider does the 5-1-1 rule. 5 contractions lasting 1 minute each in 1 hour regardless of pain is grounds to call the office. They then ask questions and have you cone in to be checked, they hook you up and do a quick cervix check. Confirm your 5-1-1 and monitor the intensity. They then either admit you, send you home, or have you wait a bit in the office and check you again in 2 hrs to see how quickly you progress. I was okay being sent home because they reassured me I followed directions and gave me new things to look for as well. I thought the 5-1-1 was a big rule most places follow. The 5-1-1 rule is good because it shows that labor is consistent but just like everything else with pregnancy, labor, and childbirth, it doesn’t apply to all women. It didn’t apply to be at least with me 2nd baby. Still, it’s a good standard by which OBs and midwives can assess whether or not a mom is in labor. Thanks so much for reading! It happened to me! At my last regularly scheduled appointment, the doctor told me to head straight to the hospital after a quick glance at the machine (Doppler, maybe?). She asked, don’t you feel contractions? I said, no but I’m pretty hungry lol thank goodness my mom was with me. We went to the hospital after a quick pit stop to grab a bite to eat! Oh how I wish that my labor was painless 😂. Sounds like a great experience and I hope I get that lucky for my next baby..
With my second, my contractions were pretty much painless until my water broke and I hit transition. The nurses at the hospital were so weirded out that there woukd be a huge contration recorded on their monitor but I hardly even noticed anything was happening lol. So different from my first. I was in excruciating pain from th very begining of labor with her. It’s crazy how different each labor and delivery is. Thankfully, there was no question if I was in real labor with either of my boys! Wow I thought my friend was crazy when she said that she didn’t know she was in labor because she didn’t feel any pain and now you’re saying it happens! I will have to show her this because she thought it was also weird that she didn’t feel anything and the doctors were like “ma’am you need to go to the hospital now”. Lol. Thanks for sharing!! I just had my baby 2 weeks ago. I had no signs of going into labor anytime soon (no nesting mode, no braxton hicks, no mucus plug signs, no water breaking) i was 40 weeks and with it being my first I figured I would go way past my due date. Suddenly at 2:30am on Saturday morning (i was due the day before) I began to cramp really bad and have contractions, I swore it was braxton hicks. My contractions were consistently over a minute long but werent regular (5 min apart, 10 min apart, 7 min apart, 22 min apart etc) I timed them for 2 hrs before waking up my husband he told me to go to the hospital I said no its false labor, finally after a hour (now 3 hrs after my first contraction) we went to the hospital. I was 8 cm dilated when we got there. Never again will I wait that long to go to the hospital. What??? Omg I thought mine was crazy but yours? Wow lol that’s amazing not to even feel your baby coming out. That “ring of fire” is FIRE! So to not feel that must have been amazing. Thanks for reading! I didnt have to worry about any of this because my water broke (I have twins.) You’re right- there is no definitive way to really be sure! And every single labor is different. Yup, you’re right every labor is different. You just never know! Thanks for reading mama! I dont think my first (LONG) comment went thru – but something similar happened to me with my second. It was never really a painful thing until I got to the hospital! She was born like 3 hours later! Yes it’s crazy. Lol I was so shocked to say the least! Thanks for reading Lee!